While the City of Dallas is was a flagship 'win' for wireless mesh vendor Firetide, a recent RFP and numerous reports to IPVM indicate major problems for the system in Dallas. In this note, we examine what those problems are, the alternative solution the City of Dallas is now requesting and what this signals for the future of Firetide. Only a few years ago, the much ballyhooed City of Dallas municipal surveillance network was one of Firetide's star projects. This installation made its way to marketing campaigns, press releases, case study, and even a pre-show ASIS tour in 2010. It was a flagship site for mesh network technology, and Firetide's future in the space. Now, in March 2012, the City of Dallas has issued an RFP for approximately 300 additional cameras. Most interestingly, the RFP makes no mention of expanding the Firetide mesh. Instead, it describes backhaul being achieved via public 3G/4G cellular networks. Readers may see the RFP in its entirety for full details. We have spoken to a number of parties involved with or having knowledge of the Dallas project who confirmed ongoing issues. Firetide radios in the city have reportedly had a high failure rate and bandwidth capacity is not up to promised levels. However, Firetide responded that, "We have gone through and checked on the open tickets and support cases and we do not have any open issues with Dallas. So to the best of our knowledge, Dallas wireless network is stable and functional." In 2012, with multiple carriers building out 4G networks, it makes less sense for public and private entities to build their own networks than ever before. Deployment is likely simpler and faster, with much less concern for antenna selection and wireless design. Cellular networks are also more likely have better uptime than most custom deployed wireless surveillance networks. National carriers are simply larger than local integrators, with more resources for servicing issues. Further, while the integrator will feel pressure from the end user if a wireless network goes down, carriers must deal with hundreds or thousands in the same area, which makes prompt response and repair more likely. However, Firetide sees issues with using cellular in this application: "It is not likely that any solution besides wireless mesh will satisfy this because you cannot get HD quality video surveillance at 30 fps when vehicle in motion at high speeds with cellular. 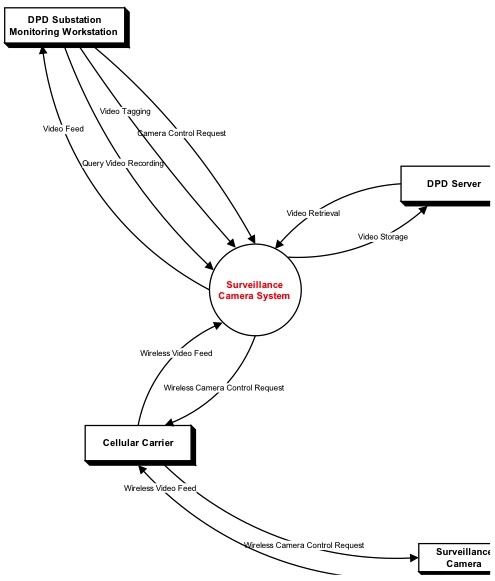 Cellular is ok for data connectivity but for real time video surveillance it still does not meet the HD video bandwidth (especially as network scales) and latency requirements for delay sensitive actions such as PTZ motions." Because of these improvements in cellular networks, providers such as Firetide, who typically have pursued high-end and mesh networks, are in an awkward position. On the low end, wireless manufacturers such as Ubiquiti, are seeing increased use. With Ubiquiti's pricing a fraction of the cost of a Firetide link, and many integrators praise its performance, it is difficult to justify the cost of more expensive Firetide gear. On the high end, where Firetide has historically had more success, we expect to see cellular making inroads as 4G networks are built out throughout the country, and speeds increased. Both of these changes in the market will squeeze Firetide, who need to differentiate themselves and show real value, performance, and reliability to remain viable in the market.